We would usually find fresh oysters in buffets and not much places are selling oysters at a cheaper price. We were rather happy to know that this restaurant do serve fresh oysters at $2 each during happy hours from 5-8pm. 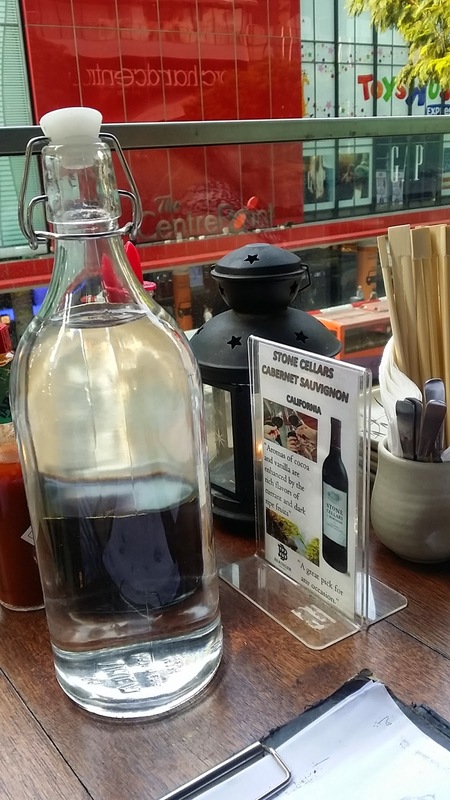 Of course, this comes with a condition - you have to order a drink and there is a limit of 6 oysters per drink. 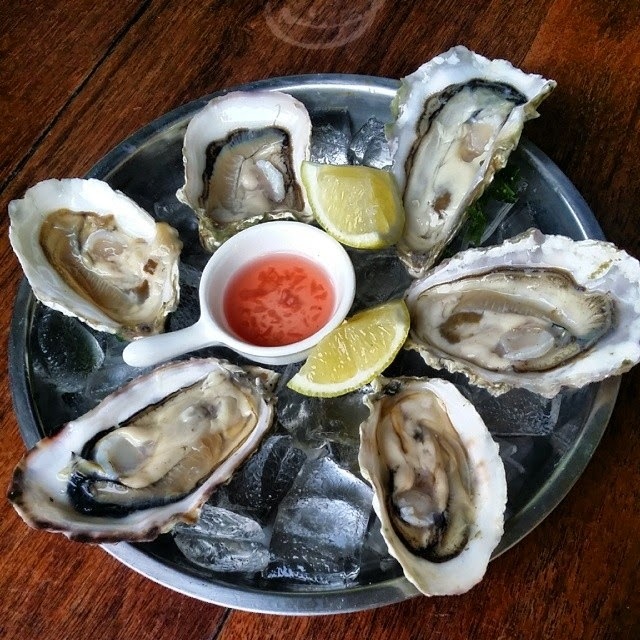 If we ordered 2 drinks, we can order up till 12 oysters! Here is the happy hours deal which I gotten from their website. 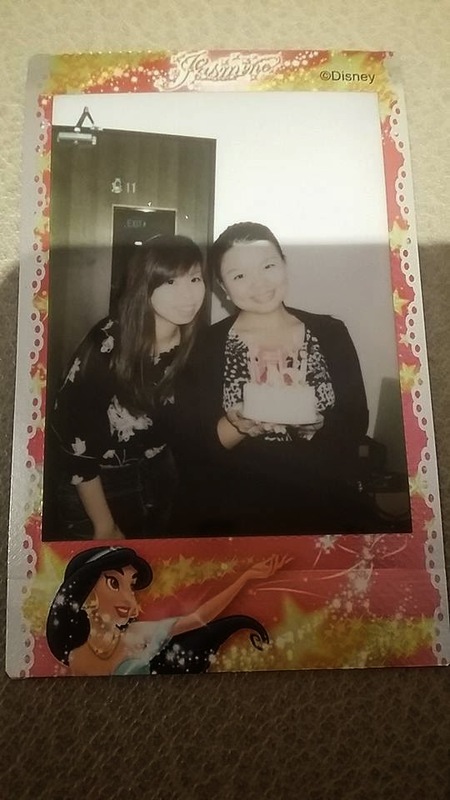 It was a belated birthday treat for Ms Lim and she chose this place for the dinner. She reached first so she chose the outdoor dining area where we can have a view of Orchard road (it can be noisy with cars such as Lamborghini zooming passed). 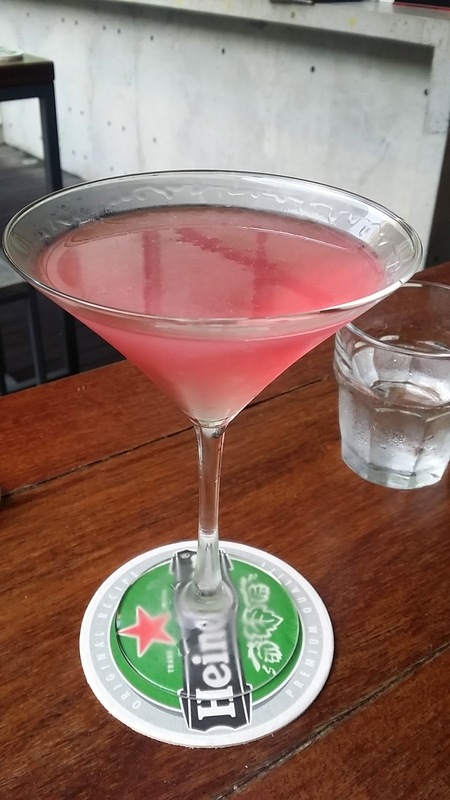 Ms Lim ordered Cosmopolitan ($10) while I ordered The Bee's Knee ($12) which is gin + lime juice. We ordered a dozen of Oysters ($24), salmon belly sashimi ($8) and Chicken of the Sea ($9) sushi roll for the first round. The oysters were fresh & sweet, no "fishy" smell at all which I loved a lot. 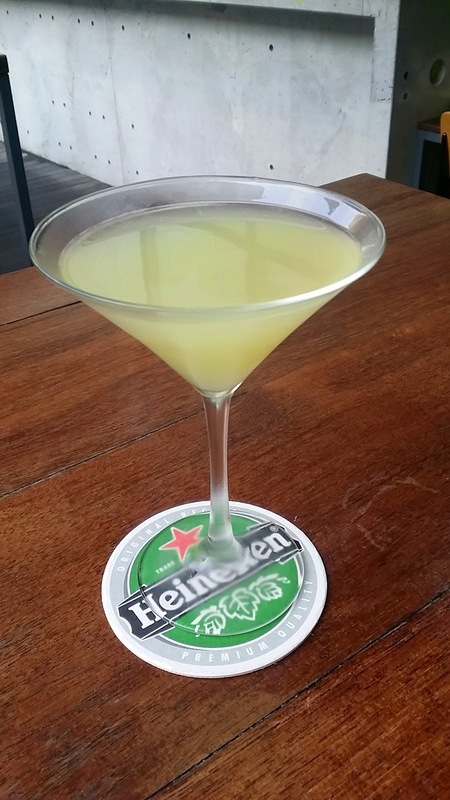 The cocktail drink (The Bee's Knee) which I ordered was refreshing with the taste of lime, tasted more like lime juice since I'm now not very good at drinking like before. I do not really like alcohol taste now. 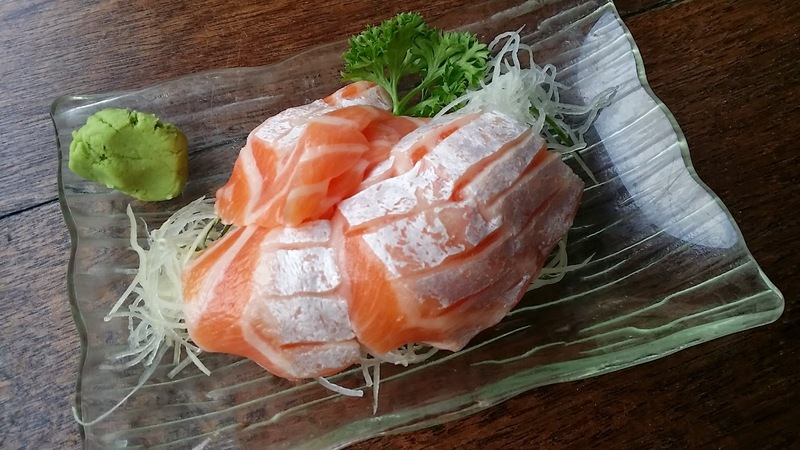 As for the salmon belly sashimi, it is simply the best! The slices are thick and fresh, it kind of melt away in mouth the moment I chewed on it. 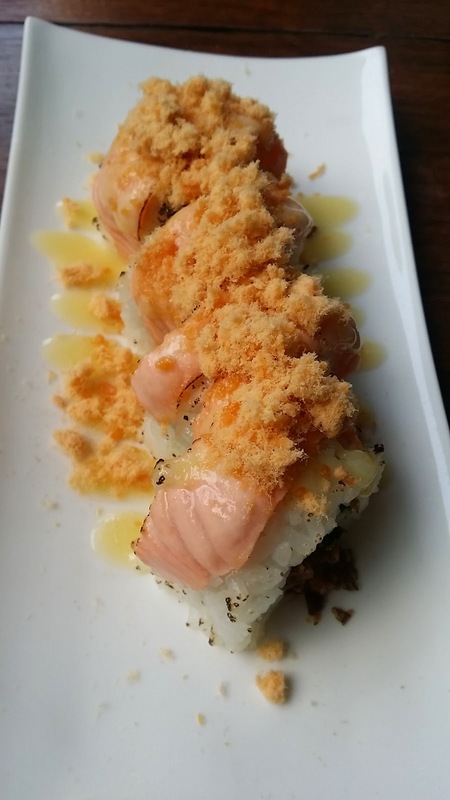 The Chicken of the sea sushi roll was good with the salmon and chicken floss. 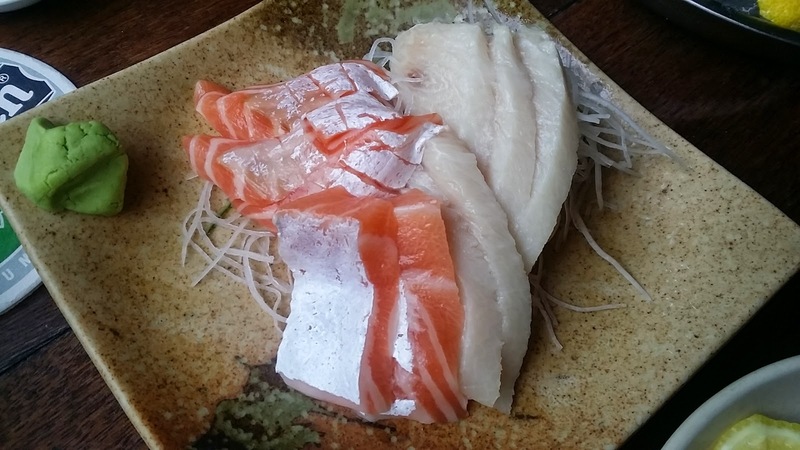 But we were still not full so we ordered another plate of salmon belly sashimi & swordfish sashimi ($12). 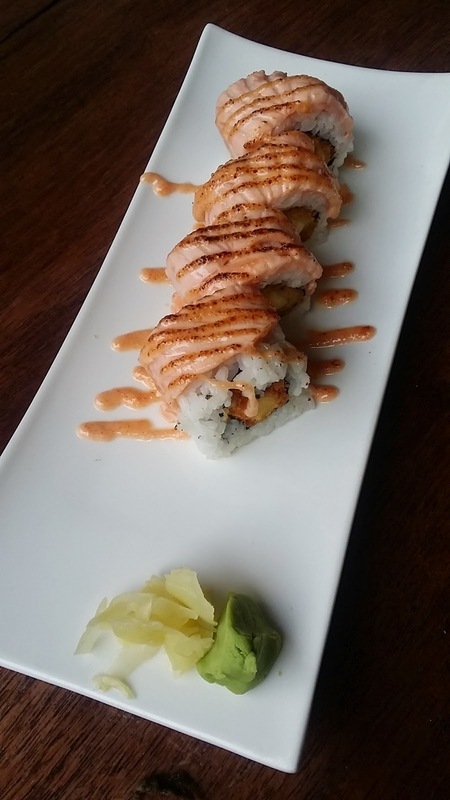 We also ordered another Rockstar sushi roll ($10). The sashimi was really fresh, although prices were a little on the high side for the swordfish sashimi. 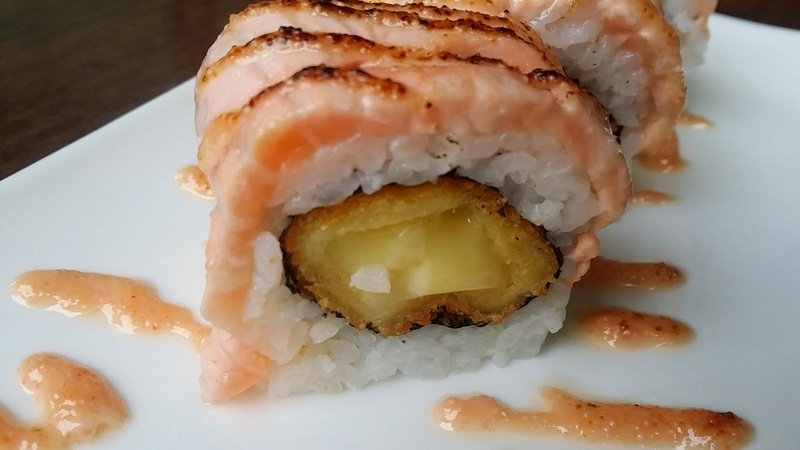 As for the Rockstar sushi roll, I find it ok-ok only, because the cheese were a little too dry inside. 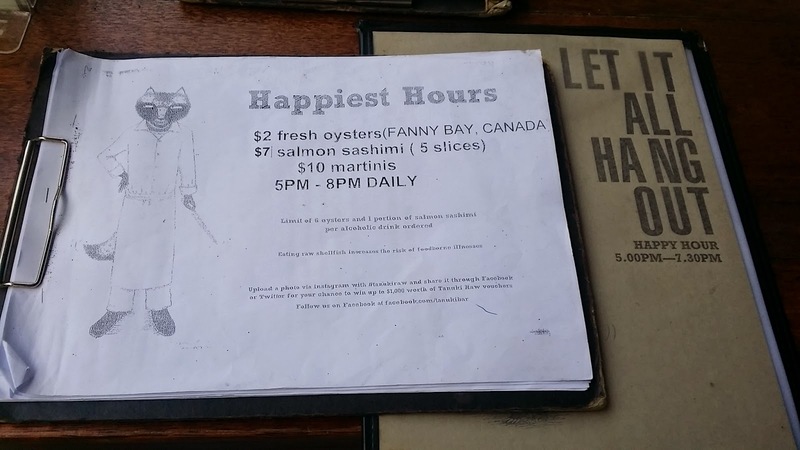 I think besides the oysters and drinks during happy hours, the other items were a little pricey. 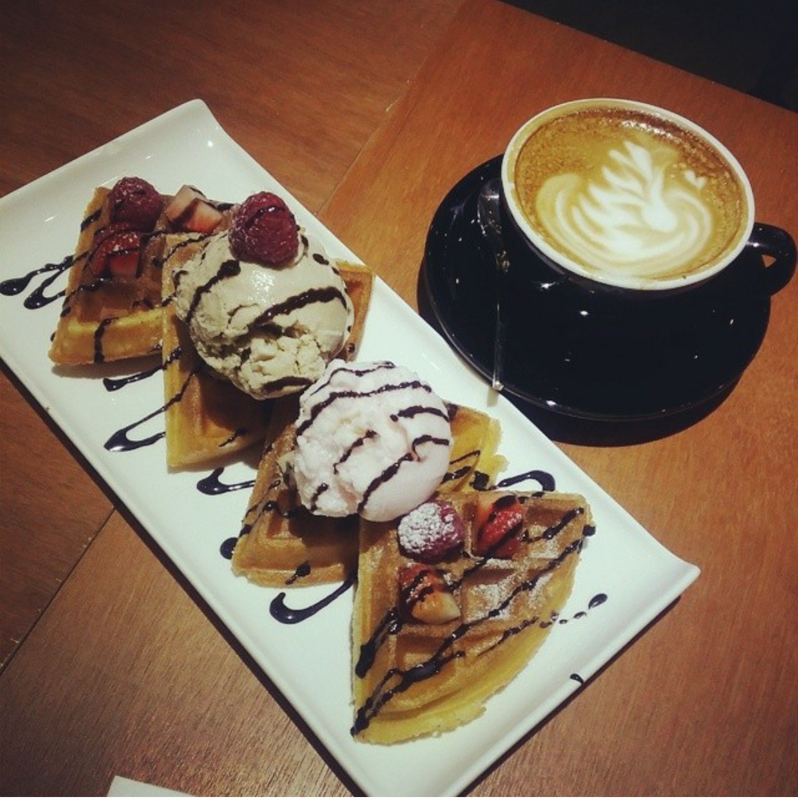 We headed over to November 8 Coffee & Company for waffles dessert after Tanuki Raw. 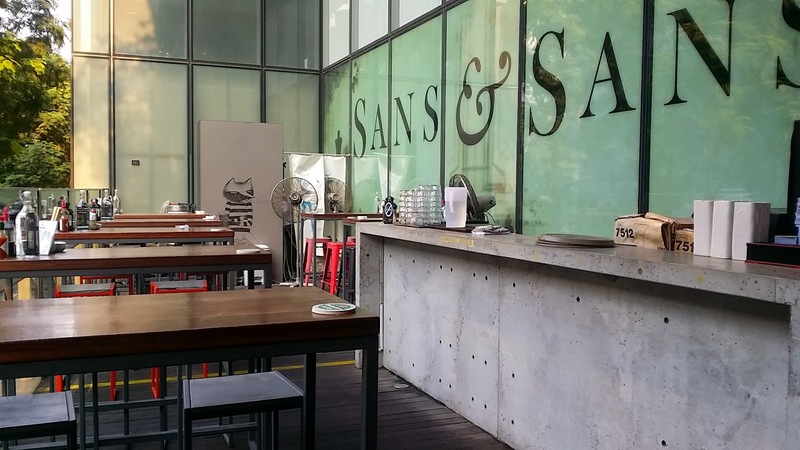 I really love this cafe, the crowd was still ok, no long waiting time. We ordered the berrilicious waffles ($9) with lychee ice-cream & we added another scoop of rum & raisin ice-cream ($2.50). I wanna raved about the ice-cream here! They did not disappoint, Ms lim & her 2nd sister who joined us for waffles also agreed that the ice-cream tasted really good! The lychee has a strong sweet lychee taste, and I'm not really a fan of rum & raisin flavour, but the rum & raisin ice-cream really wows me! In my previous post, I love the taro ice-cream too. I also tried the cappuccino this time round, it's good! I think I prefer the cappuccino to the cafe latte. Since this cafe open till 12 midnight, it will be our new chill-out place in future since it is so near to where we stayed. 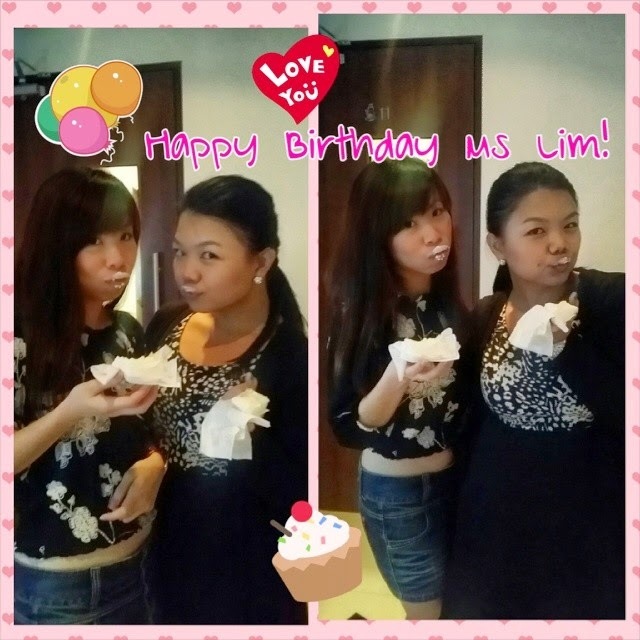 Happy Birthday Ms Lim! 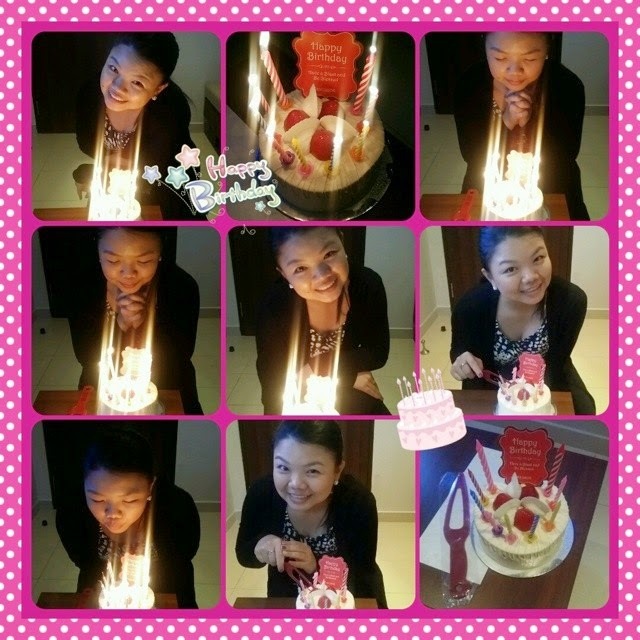 May all your wishes come true!